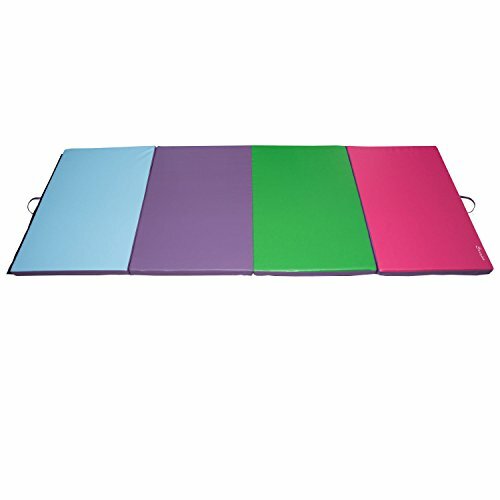 B1-0064 Color: Purple Features: -Material: High density EPE firm foam. -Foam color: White. -Constructed of 4 panels. -Non-absorbent shell is fire-retardant. Color: Product Type: -Mat. Generic Dimensions: -Each panel dimensions: 48\" H x 30\" W x 2\" D. -Foam thickness: 2\". -Hook and loop dimensions: 48\" x 2\". Dimensions: Overall Height - Top to Bottom: -24. Overall Width - Side to Side: -120. Overall Depth - Front to Back: -48. Color Black - Overall Product Weight: -19. Color Pink - Overall Product Weight: -20. Color Purple - Overall Product Weight: -20.